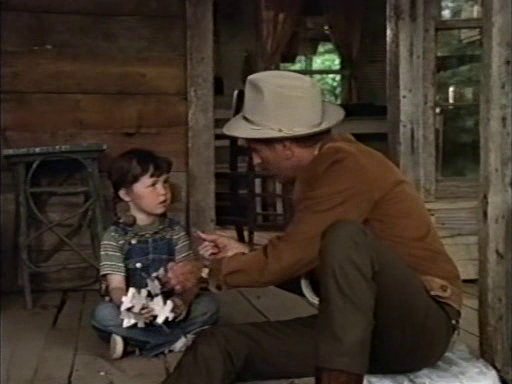 When their widowed father (Rance Howard) passes away, a fourteen-year-old Appalachian girl (Julie Gholson) and her siblings — Devola (Jan Smithers), Romey (Matthew Burrill), and Ima Dean (Helen Harmon) — keep his death a secret in order to stay together as a family; meanwhile, Mary Call (Gholson) attempts to honor one of her father’s dying wishes by preventing an amorous suitor (Harry Dean Stanton) from marrying Devola. 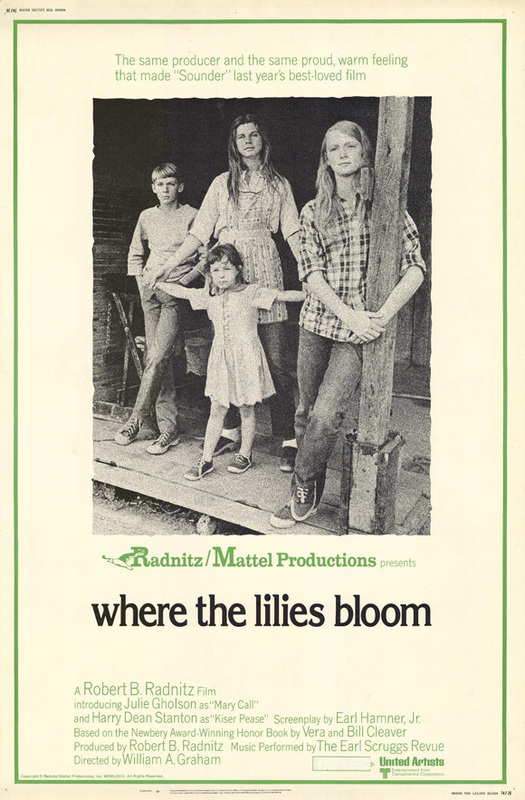 Based on a Newbery Honor-winning children’s book by Vera and Bill Cleaver, Where the Lilies Bloom tells a powerfully authentic tale of orphaned siblings scratching out a living for themselves in Appalachia by wildcrafting (gleaning for medicinal herbs) while keeping nosy neighbors and other well-meaning adults at bay. Other than the presence of Stanton (in a wonderful supporting performance) and Sudie Bond (given just a few minutes of screentime as Gholson’s encouraging English teacher), performances are primarily by unknown actors, including three refreshingly natural youngsters — Gholson, Burrill and Harmon — who apparently never made any other films. (Smithers, 25 at the time she co-starred in this movie, became best known for her work on the T.V. series “WKRP in Cincinnati”.) Gholson in particular deserves mention for her fiery lead performance as Mary Call; we believe this spindly, savvy girl is someone who could support and motivate her entire family, at least for a few intensive months. The subplot involving her continuous attempts to keep lovestruck Kiser Pease (Stanton) away from her beautiful older sister adds both levity and gravitas to the screenplay, as we wonder what exactly will happen once their deeply held secret is inevitably found out. No, but it’s recommended for one-time viewing. Listed as a Sleeper in the back of Peary’s book. First viewing. Not must-see, but not a bad film – esp. for younger ffs. The thrust of the story (children left on their own and keeping their parentless situation a secret) recalls Jack Clayton’s film ‘Our Mother’s House’ – though this film is strictly realistic, without a whiff of the gothic about it. It’s a leisurely paced film which occasionally has the air of a made-for-tv movie. Appalachian tales are not all that common in film, which adds unique value to ‘WTLB’.